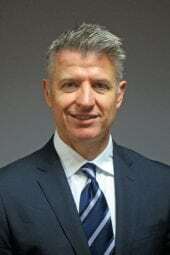 Declan Daly joined USCIB in August 2018 as Senior Vice President and CFO. Daly also serves in a COO capacity, overseeing ATA Carnet and Trade Services and IT. Prior to USCIB, Daly was with CSI Sports, an international multimedia company operating in over 40 countries, where he was VP of Finance and Operations. Prior to that, he was CFO of Geptek/GTI, which consists of a Trading Group and an Environmental Service Group, serving various industries through a network of domestic and global suppliers, partners and service providers. Other positions included Director of Finance for the FW Dodge division of McGraw-Hill and Director of Finance and Business Manager for Simon & Schuster. Daly, a CPA, earned an MBA as well as a BS in Accounting from Fairleigh Dickinson University. New OECD Reports Outlines Business Investment Contribution to SDGs (4/24/2019) - The Organization for Economic Cooperation and Development (OECD) has recently published a report on "The Contribution of International Business Investment to the Sustainable Development Goals (SDGs)."